The Southern Thoracic Surgical Association is currently accepting abstracts for its 63rd Annual Meeting, November 9-12, 2016 in Naples, FL. Members and non-members alike are invited to submit their work by the April 4, 2016 deadline. 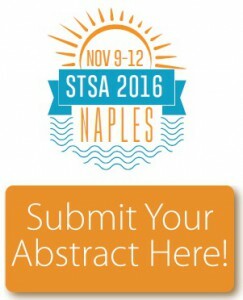 Learn more about the 2016 STSA abstract submission process and access the submission site. Again this year STSA will accept oral and video abstracts in the category Lessons Learned From Intraoperative Complications. This submission category was first introduced last year, and the November 2015 STSA 62nd Annual Meeting featured an education session titled Recognition & Management of Cardiothoracic Surgical Misadventures to showcase Lessons Learned abstracts. View pages 202-206 of the STSA 62nd Annual Meeting Program Book to review 2015 accepted Intraoperative Complications abstracts. The 2016 STSA Program Committee is excited to offer the Lessons Learned From Intraoperative Complications abstract submission category again in 2016 to continue STSA’s tradition of providing premier educational programming that prepares attendees to confront complex situations in the OR. To submit a Lessons Learned From Intraoperative Complications abstract, access the submission site and designate your abstract(s) for this category in Step 3. Other 2016 abstract submission categories include adult cardiac, general thoracic, congenital, and transplant surgery as well as history, surgical education, patient safety, and simulation and team-based learning.